Asian Noodle Salad is a wonderful alternative to pasta salad made with mayonnaise and a great way to change things up a bit for BBQ’s and picnics in the summer. The summer heat is here. I always look for ways to minimize my time in the kitchen in front of the stove this time of year. The garden Paul plants provides all the veggies we need to make summer salads. Personally, I can’t wait to cut up a big fat ripe tomato from the garden and pour dressing over it. Paul on the other hand requires more sustenance than that. Asian Noodle Salad is right up his alley. The noodles make it hardy, so much so it could be eaten as a meatless meal. 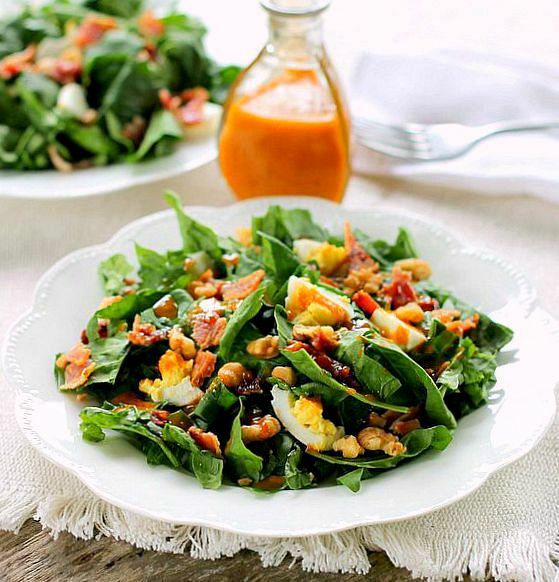 The Asian dressing gives the salad a very bright flavor with a slight bit of heat thrown in from the red pepper flakes. This salad is a wonderful alternative to pasta salad made with mayonnaise and a great way to change things up a bit for BBQ’s and picnics. One of the great things about cold salads is that adding meat to them can make it a meal. Leftover grilled chicken or beef extends the leftovers into another meal and momma gets a reprieve from the stove. And the more that happens in the summertime the better, cause if momma ain’t happy, ain’t nobody gonna be happy in the summer heat. Looking for more Asian Style Salad Recipes? 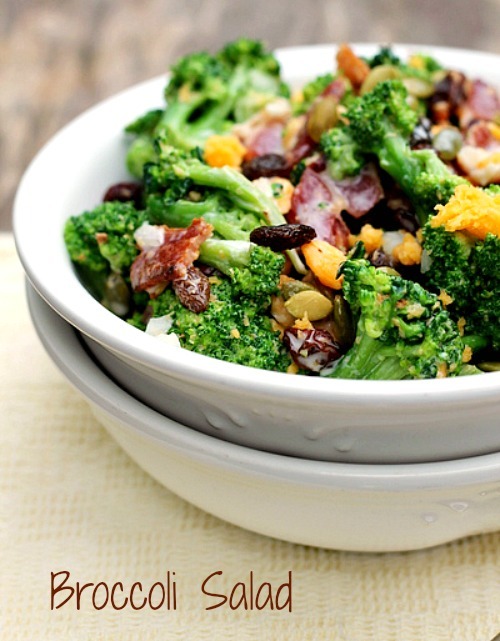 Check out this recipe for 30 – Minute Asian Broccoli Salad on RecipeLion. Enjoy! In a large size bowl stir together the soy sauce,vinegar,oil, red pepper flakes,garlic and ginger. Set aside. Cook the linguine according to package directions, drain and rinse under cold water. Add the linguine to the large bowl with the dressing ingredients and toss to combine. Add the carrots, green onion and green and red pepper. Toss to combine, cover with plastic wrap and refrigerate. Stir the salad occasionally to coat with the dressing. Refrigerate at least 4 hours or overnight. 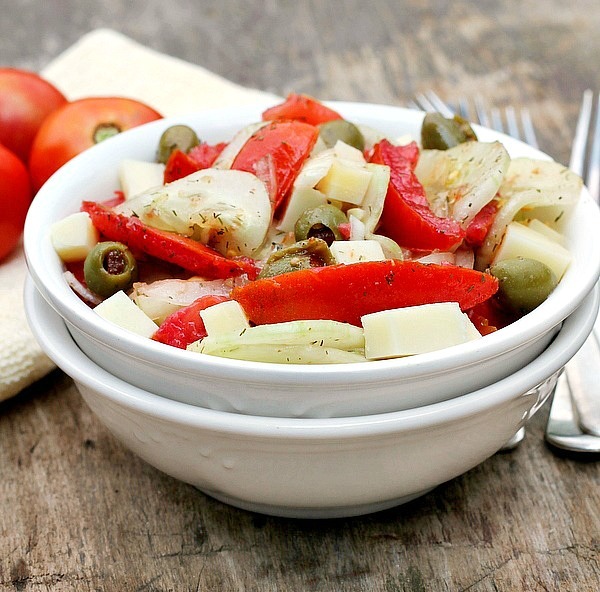 Living in Florida, I am always on the lookout for simple dinners that “beat the heat.” Your salad looks so fun and flavorful and I can’t wait to try it! I am in love with the flavors in these noodles!! I want to try this recipe asap!! I made some changes to your Asian noodle recipe sauteing peppers and onion and then adding to the noodles and spices that you suggested. Thanks so much for your great new recipe. Thanks for coming back to tell me you made it Patricia. It’s definitely a keeper! No problem sweetie, I learned something too!